Continuity mistake: In the scene on the pier with Toshiko and Tommy, the soldier from WWI, Toshiko is holding her hand bag but drops it when he picks her up. Immediately, the next shot she is holding it again. Trivia: The hand preserved in a glass jar in the Torchwood HQ is the severed hand of Doctor Who which he lost in a duel during the Christmas special. The hand features quite prominently in episode 1 but can also be seen in the background in most episodes. Trivia: Eve Myles, who plays Gwen also plays the maid character Gwyneth in the Doctor Who (season one) episode "The Unquiet Dead." 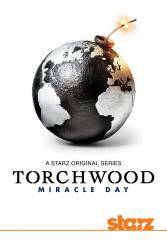 Trivia: Torchwood is an anagram for Doctor Who, the show of which this series is a spin-off. Captain Jack Harkness: Captain Jack Harkness, note the stripes. Captain John Hart: Captain John Hart, note the sarcasm. Captain Jack Harkness: Hey, I worked my way up through the ranks. Captain John Hart: I bet the ranks were very grateful. Question: If Owen and Toshiko were already working for Torchwood's Cardiff branch before Torchwood One collapsed, what were they doing in London at the time of "Aliens of London"? Surely there must have been another medic in the region. Chosen answer: As long as Jack's been in charge of it, Torchwood Cardiff has had a different agenda than Torchwood One. Tosh and Owen were there to watch for signs of the 10th Doctor, however, it was the 9th that showed up when the ship crashed in London. Question: How did Jack get the Doctor's severed hand? Chosen answer: He might have requisitioned or stolen it from Torchwood London, or he might have been ready down below once it'd been severed, searching for "the right Doctor" and not knowing that the newly-regenerated Doctor was the one he was looking for.